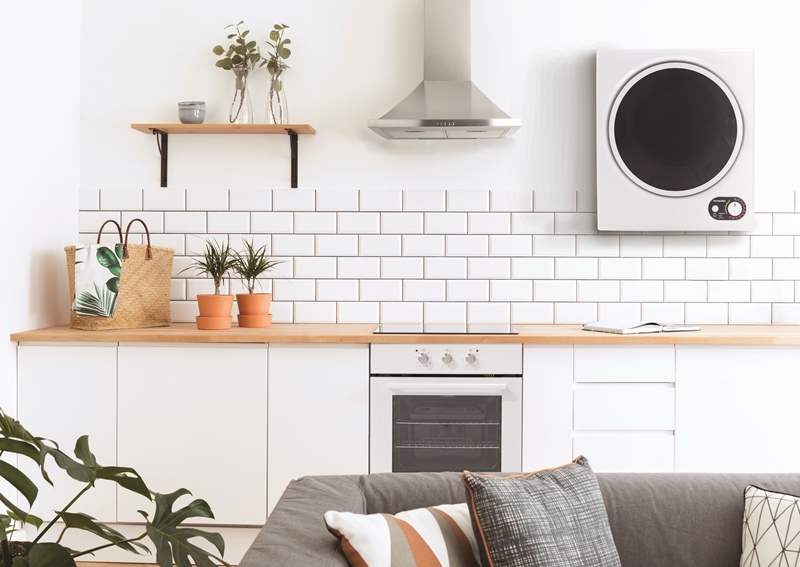 Appliance manufacturer Montpellier has introduced a compact tumble dryer, for kitchens where space is at a premium. With many people drying washing indoors a tumble dryer could be a great asset, but in many kitchens space is at a premium. Montpellier has considered this and created a wall-mountable compact vented tumble dryer, the MTD25P. At 58.5cm high, 49.5cm wide and 41.5cm deep, the company says this dryer is small enough to sit on a worksurface, in a ventilated corner or even be mounted onto a wall. It has been designed with ease of use in mind, with the controls located at the bottom for a wall-mounted setting. The company believes its clean and simple aesthetic means that it will blend into a home. It can dry a 2.5kg load with two heat settings and five drying programmes for users to choose from. The MTD25P model comes with a wall-mounting fixing kit and vent hose included.